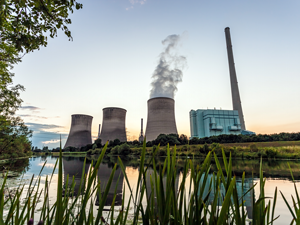 With electricity generation expected to double in the next 20 years, maximizing the efficiency of power plants is critical to meeting demand. Industry-wide, the importance of more efficient units utilizing less power to deliver equivalent or improved results has gained increased awareness. At Extrude Hone®, we help the Energy industry achieve better efficiency and reliability by focusing on the surface condition of key components. 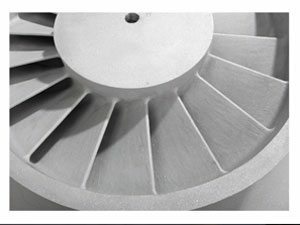 Our specialized finishing processes handle key applications from manifold deburring with our Thermal Energy Method (TEM) to processing components for pumps and compressors with our Abrasive Flow Machining (AFM) process. The AFM process, for example, is considered the method of choice for material removal at areas of greatest restriction and surface improvement of passages not accessible by other methods. Inner flow passages of impellers and diffusers benefit from AFM’s selective material removal as well as surface finish improvement to contribute to improved pump efficiency and cost savings. Improve flow rate capability of closed impellers. 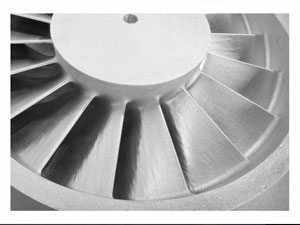 Improve quality by providing greater material removal consistency over the entire inner closed impeller surface and from part to part. Ensure hydraulic component cleanliness, expanding the interval between maintenance cycles. Improve productivity during the finishing process. Achieve faster, more consistent polishing results as compared to manual polishing operations. Improve operating efficiency, generating valuable savings.